Rocky Mountain Con is a wrap, but we still have plenty to share from the amazing event that takes place each year in Denver. 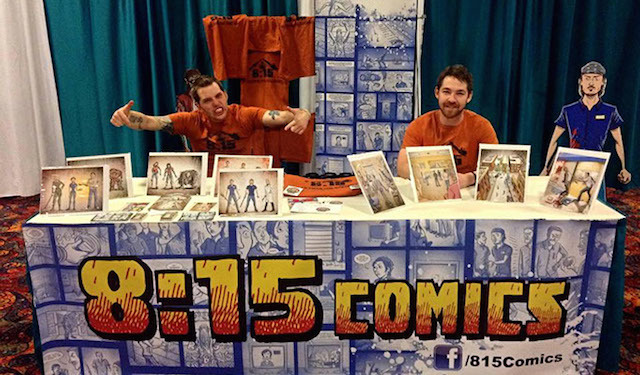 Denver’s own 8:15 Comics was setup to show off their unique and creative comic and publishing company. 8:15 unveils itself with the dawn of the zombie apocalypse & the scarce circle of strangers forced to tenaciously prevail in its strange, cataclysmic wake. We had the chance to talk to Ryan Wise about the comic and the business, as well as what it’s like being setup in Denver. Find out more about 8:15 Comics at 815Comics.com and the 8:15 Comics Facebook Fan Page. And don’t forget to pick up 8:15 on Amazon.